From Natural Product to Pharmaceutical. 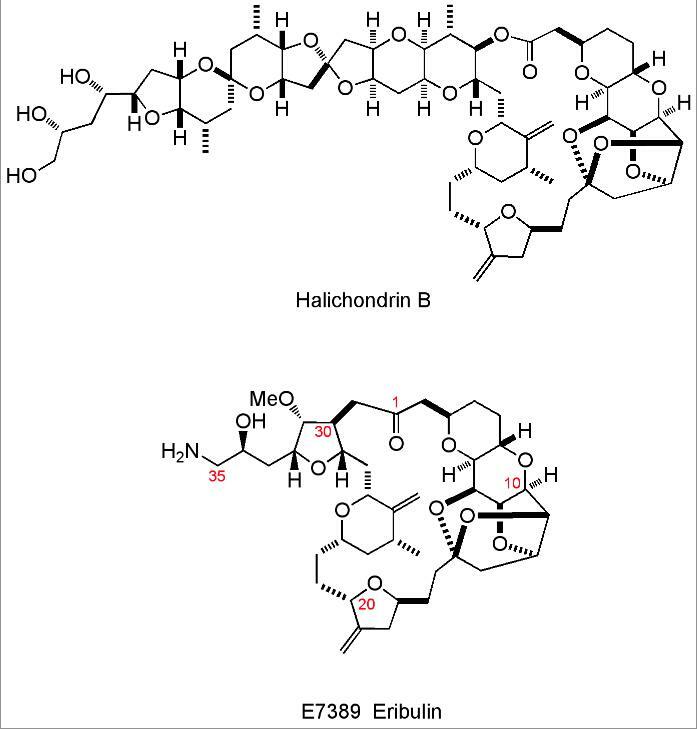 Both compounds have an enormous number of possible isomers: Halichondrin B, with 32 stereocenters has 232 possible isomers; Eribulin has 19 with 219 isomers (if I have counted correctly, it does not really matter, there are lots of isomers). 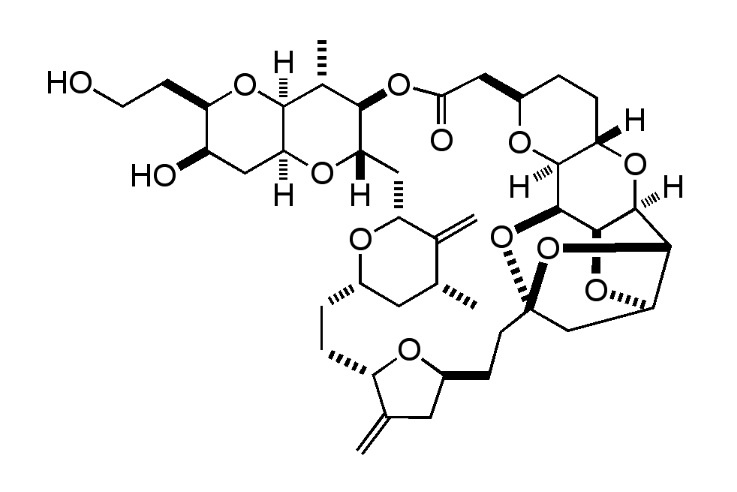 Remarkable is the fact that only one of these isomers is active in the given area of anti-cancer agents. The C34-C35 diol was obtained by a Sharpless asymmetric hydroxylation, here the diastereoisomeric ratio was not very high, only about 3:1 in favour of the desired isomer. Fortunately the undesired isomer could be removed completely by crystallisation. Jackson, K. L., Henderson, J. A., Phillips, A. J., Chem. Rev., 2009, 109, 3044-3079. Yu, M. J. Kishi, Y., Littlefield, B. A., in Anticancer Agents from Natural Products, page 241; Editors Cragg, G. M., Kingston, D. G. I., and Newmann, D. J. Published by CRC press, Taylor and Francis group, Boca Raton, 2005. ISBM 10:0-8493-1863-7. Lake, R. J. Internal Report, University of Canterbury, February 26, 1988. Litaudon, M.; Hart, J. B.; Blunt, J. W.; Lake, R. J.; Munro, M. H. G. Tetrahedron Lett. 1994, 35, 9435. Litaudon, M.; Hickford, S. J. H.; Lill, R. E.; Lake, R. J.; Blunt,J. W.; Munro, M. H. G. J. Org. Chem. 1997, 62, 1868. Pettit, G. R.; Herald, C. L.; Boyd, M. R.; Leet, J. E.; Dufresne, C.; Doubek, D. L.; Schmidt, J. M.; Cerny, R. L.; Hooper, J. N. A.; Rutzler, K. C. J. Med. Chem. 1991, 34, 3339. Aicher, T. D.; Buszek, K. R.; Fang, F. G.; Forsyth, C. J.; Jung, S. H.; Kishi, Y.; Matelich, M. C.; Scola, P. M.; Spero, D. M.; Yoon, S. K. J. Am. Chem. Soc. 1992, 114, 3162. Takai, K.; Kimura, K.; Kuroda, T.; Hiyama, T.; Nozaki, H. Tetrahedron Lett. 1983, 24, 5281. (a) Jin, H.; Uenishi, J.; Christ, W. J.; Kishi, Y. J. Am. Chem. Soc. 1986, 108, 5644. (b) Kishi, Y. Pure Appl. Chem. 1992, 64, 343. Yang, Yu-Rong, Kim Dae-Shik and Kishi Yoshito, Org. Lett., 2009, 11 (20), 4516–4519. Stork, G.; Kahne, D. E. J. Am. Chem. Soc. 1983, 105, 1072. Crabtree, R. H.; Felkin, H.; Fellebeen-Khan, T.; Morris, G. E. J. Organomet. Chem. 1979, 168, 183. A clinically significant improvement in overall survival was observed in the EMBRACE study in eribulin treated patients compared with those who received treatment of physician’s choice. Cortes, Javier, et al. “Eribulin monotherapy versus treatment of physician’s choice in patients with metastatic breast cancer (EMBRACE): a phase 3 open-label randomised study.” The Lancet 377.9769 (2011): 914-923. The fact that halicondrin has 32 chirality centres dos not imply that it has 2*32 possible stereoisomers. 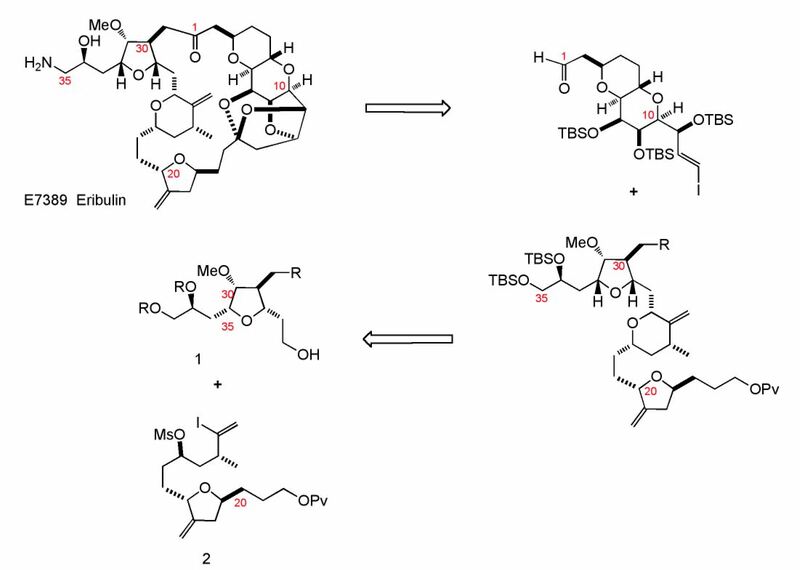 In fact, four stereogenic centres are bridgeheads and this reduces the number of theoretical stereoisomers. Indeed, the asymmetric bridgeheads are six, pardon.